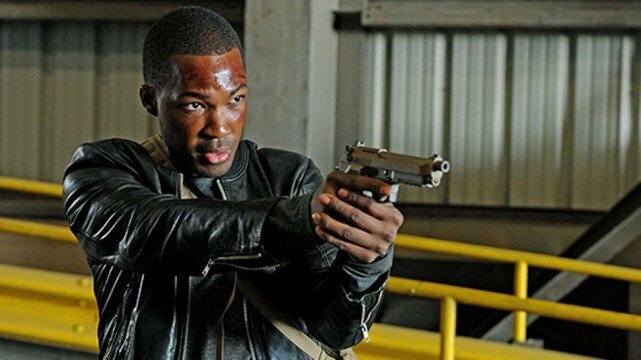 It appears as though 24: Legacy‘s run-of-the-mill first season will be its last. Variety has the scoop, revealing that Fox has pulled the plug on its high-octane espionage drama after only one season on the airwaves. The 12-episode series, headlined by Corey Hawkins of Straight Outta Compton and Kong: Skull Island, failed to resonate with audiences – both longtime fans of the 24 saga and curious newcomers – which meant Legacy ultimately dragged its feet behind Fox’s other two small-screen revivals: The X-Files and Prison Break. Not all is lost for the 24 franchise, though, with Variety’s report confirming that the network is already meeting with 20th Century Fox about the possibility of an anthology series wrapped in that signature real-time storytelling format. Only time will tell if those tentative plans can result in a truly engrossing comeback, but if nothing else, Legacy‘s short-lived spell on the airwaves is further proof that Kiefer Sutherland is a difficult man to replace. 24: Legacy now joins Sense8 on the growing pile of small-screen casualties – the latter’s abrupt cancellation has even prompted an online campaign. But assuming those future-proofing plans take hold, what would you like to see from the 24 franchise going forward? Another total refresh? Or something that hews close to the original format? Do let us know.